When visiting Key West, you may hear an occasional mention of a local business or restaurant, followed by “that’s over on Stock Island.” While it is easy to brush the neighborhood off as “over there” (away from much of the hustle and bustle), Stock Island should not be missed. As Key West changes with the times, Stock Island holds the authentic charm that many claim this “new” Key West is lacking. The “good ole days” are still alive and well on Stock Island and fishing and boating reigns supreme. It’s not just a boat ride – it’s a theme-park, style heart-pounding adventure. The New Zealand boats can zip across just four inches of water at speeds up to 55 mph, and can perform thrilling maneuvers and 360-degree turns. For a calmer experience, try the Sea Spis – personal, jet ski-sized glass bottom boats, or experience the Key West yacht club with all its perks and amenities. White Knuckle can provide transportation to all the water fun. Tucked away on Stock Island, the Rusty Anchor offers fresh seafood from its commercial fishing fleet, but also serves up a mean burger which they call their "Gorilla Burger," an eight-once, Angus beef patty loaded with bacon and cheese. At lunch, opt for the blackened fish Rueben with fries and 'slaw, or one of their fried clam or mahi mahi baskets. On Wednesday nights they offer slow-cooked prime rib. For a taste of a local hangout that is far removed from Old Town, follow the signs to the Hogfish Bar and Grill, located in Safety Harbor. This open-air, casual restaurant is a diamond-in-the-rough with a lunch menu chock-full of seafood sandwiches (think fish tacos, shrimp Po' Boys, lobster rolls, and their signature "Killer" Hogfish). Live music kicks off on the weekends, making this a great spot for a little daytime (or evening) drinking. Be sure to check out Grammy Award nominees, the Larry Baeder Band, who make regular appearances at the watering hole. For a wide variety of fresh seafood, head to Fishbusterz, the largest wholesale fishery in Florida. 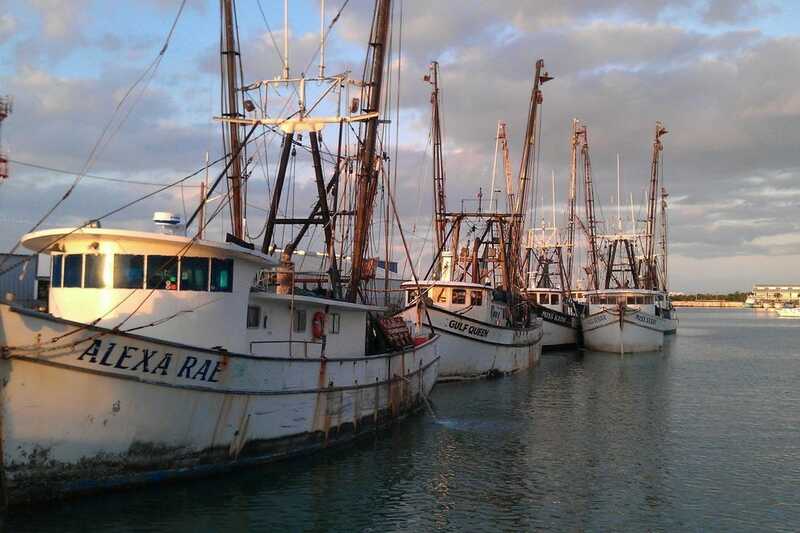 It has a rich history in the shrimp industry when thousands of shrimp boats used to frequent the docks. Today, they specialize in lobster, stone crab, Key West pink shrimp, snapper, grouper, swordfish and a slew of other fresh catches. Fisherman can also pick up bait, ice, and gas for their vessels.